Please make sure to order your uniform by March 27th, 2019. 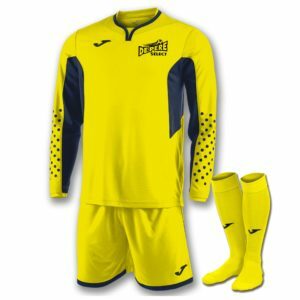 All players are required to purchase the new Joma De Pere Select Uniforms for this new fall 2018 season. These jerseys will be used for the 2018-19 season and the 2019-20 season. Players will be assigned numbers so there are no conflicts between similar age groups. Uniforms will be ready for the start of the spring season.